Enjoying a prime position in Hackney next to Clissold Park, the development includes 36 shared ownership homes finished to a high standard giving local, eligible people the opportunity to buy a home of their own in this sought-after location. Occupying the north-west corner of Hackney, Stoke Newington is a truly distinctive part of the capital. Offering residents a diverse range of independent shops and restaurants as well as an established farmers market at St Paul’s Church, yet with the convenience of being well located for access to the wider city, the area is popular with long-term residents and newcomers alike. 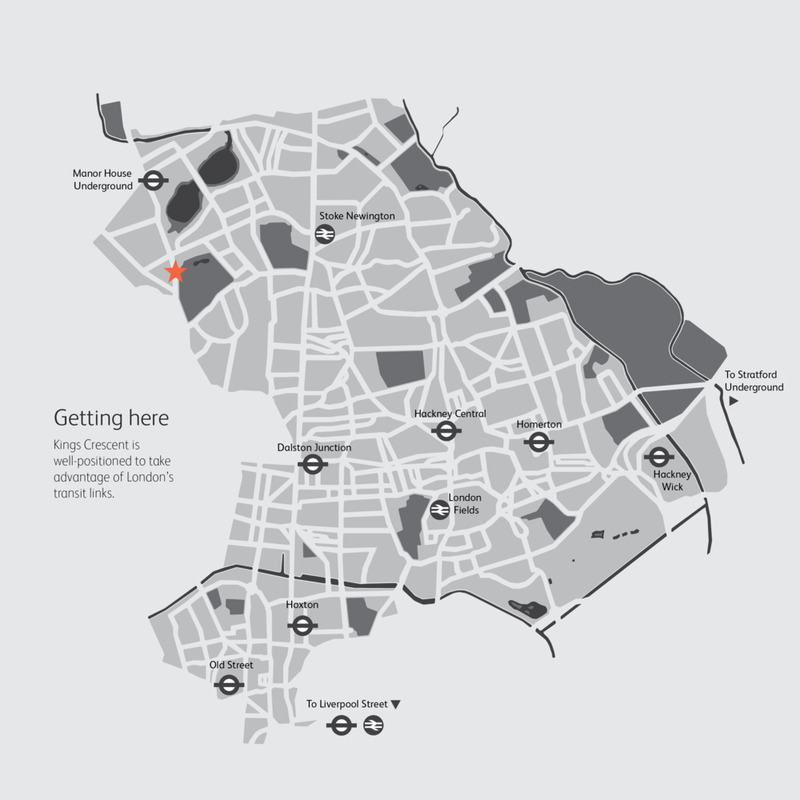 The district of Stoke Newington benefits from a generous amount of open space. The Kings Crescent development has the enviable location of being adjacent to Clissold Park and close to the West Reservoir Centre, both offering a range of activities right on your doorstep. 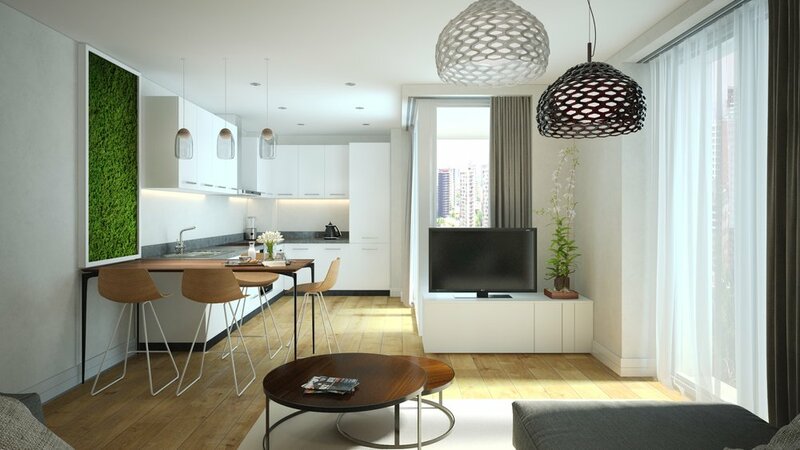 Each apartment includes a private balcony, garden or terrace. 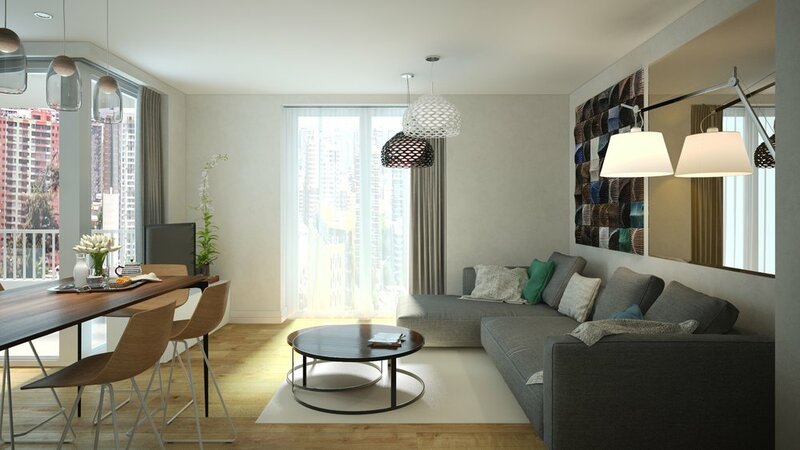 The development is completely car free, with thoughtfully designed and welcoming landscaped areas. Kings Crescent is well-positioned to take advantage of London’s transit links.